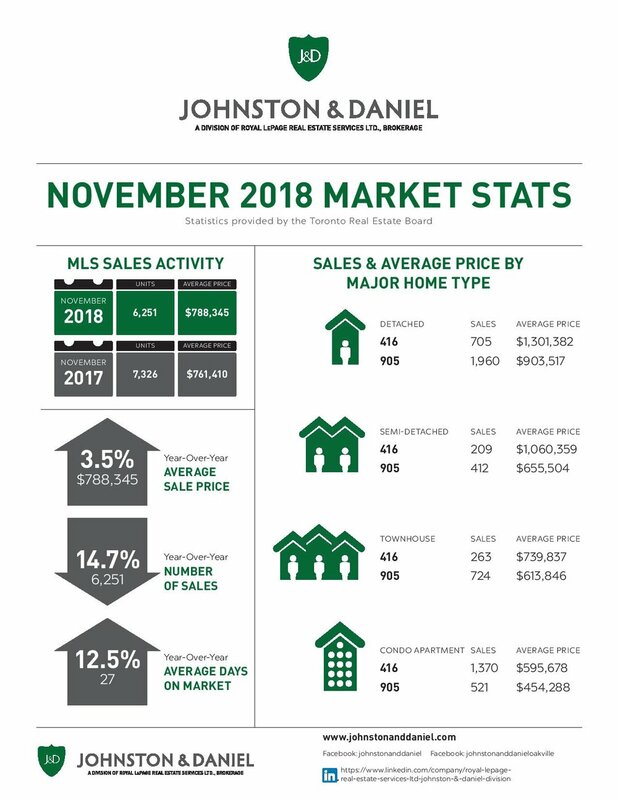 Toronto Real Estate Board President Garry Bhaura announced the continuation of moderate price growth in November 2018 compared to November 2017. The MLS® Home Price Index (HPI) Composite Benchmark was up by 2.7 per cent year-over-year. The average selling price was up by 3.5 per cent year-over-year to $788,345. Greater Toronto Area REALTORS® reported 6,251 residential transactions through TREB’s MLS® System in November 2018. This result was down by 14.7 per cent compared to November 2017, when we saw a temporary upward shift in demand as the market was distorted by the looming OSFI-mandated stress test at the end of last year. “New listings were actually down more than sales on a year-over-year basis in November. This suggests that, in many neighbourhoods, competition between buyers may have increased. Relatively tight market conditions over the past few months have provided the foundation for renewed price growth,” said Mr. Bhaura.